At a special citizenship ceremony at the Canadian Museum for Human Rights on Sunday, people shared that it meant home, freedom and one even joked it meant photo radar. Forty-eight people were sworn in as Canadians during the ceremony, which fell on international Human Rights Day, honouring the Universal Declaration of Human Rights in 1948. "I felt Canadian the moment I stepped in this country but to get citizenship it is an honour and I feel very blessed to have a country to call my home," said Obidah Abdul Basir. "Canada not only gives you a land of opportunity but the people and the country opens up its heart and takes you under its wings." Her family left Afghanistan and eventually went to Tajikistan before coming to Canada in 2005. She was only 19 years old when she arrived in the country and always knew she wanted to get her citizenship. "That means a lot to me coming from a background where all I've seen is war," she said. "I want to be something that my next generation or anyone's next generation can look up to me and be proud of what I've done for this country." Gurwynder Chahal, who is originally from India, said citizenship is about much more than a passport. "Now being a Canadian I have more duties, more responsibilities on me," he said adding it's an honour and a dream. Ayesha Suboor had a giant smile during the whole ceremony. While she has always felt Canadian, having her citizenship means "enjoying the freedom that being a Canadian brings." Olivia Bechard, who works with the Canadian Museum for Human Rights, said it was important to celebrate inclusion and diversity. 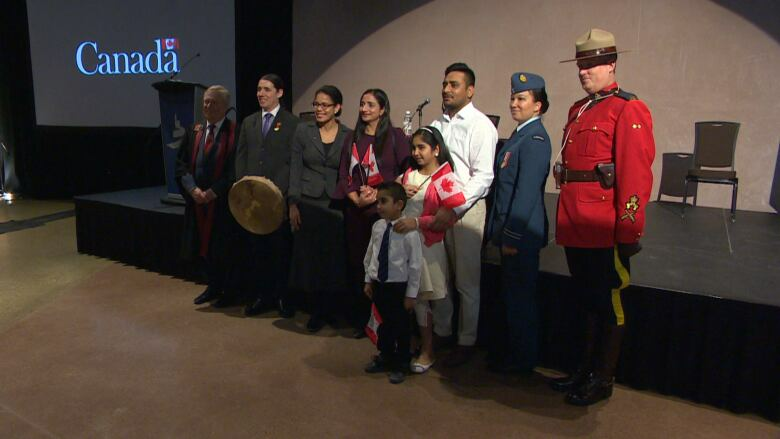 That's why the ceremony included roundtable discussions on what it means to be Canadian. 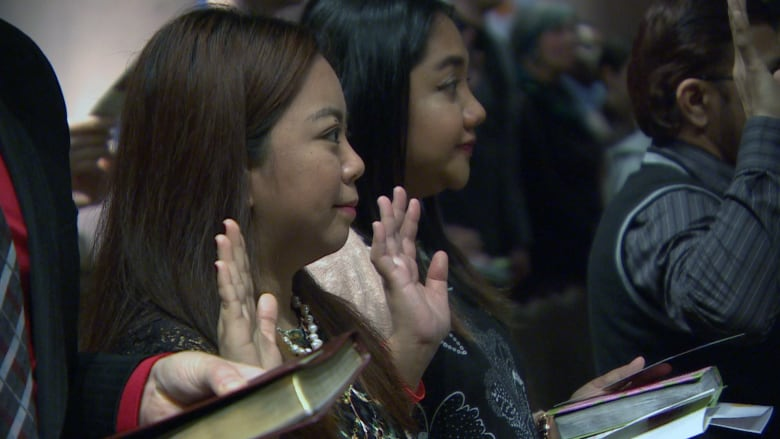 "Our new citizens and their family members are encouraged to have conversations about what it means to be Canadian and what active citizenship means to them," she said. "To talk to the experiences of citizenship, what it means to be Canadian and living in a democratic country where people can become new citizens."